Don’t miss out on this valuable event and put your new networking skills into action! Light Fare will be served along with beverages. Cash bar is available. Experis IT is a dedicated business unit of ManpowerGroup – a world leader in employment services for more than 60 years, and a recognized pioneer in the industry. Experis IT accelerates business growth and careers by intensely attracting, assessing and placing specialized expertise in IT, Finance & Accounting, Engineering and other industries. Experis IT precisely delivers in-demand talent for mission-critical positions, enhancing the competitiveness of the organizations and people we serve. 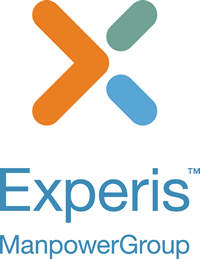 Experis IT also applies expertise to provide a suite of proven workforce solutions that improve our clients' productivity, efficiency and cost containment. Space is limited to 50 people, so make sure to register early!! !